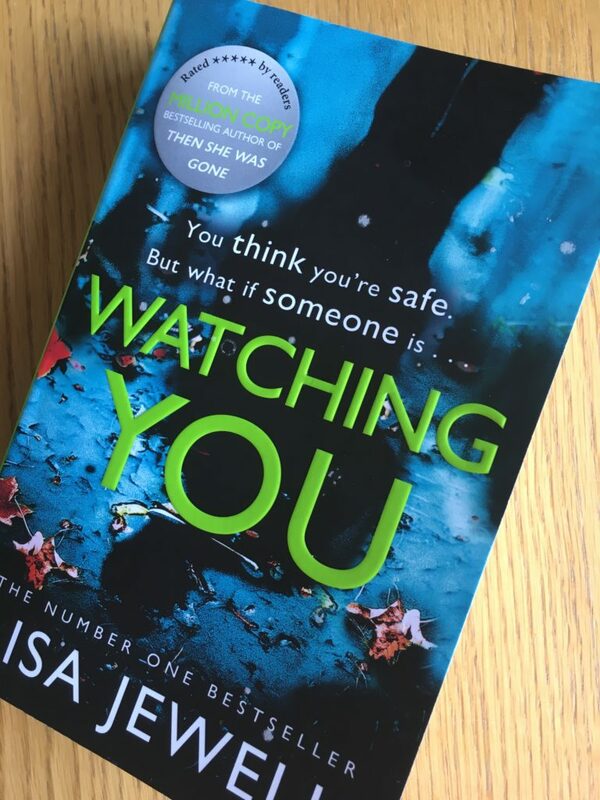 I loved Lisa Jewell’s previous two books, Then She Was Gone and I Found You, so when I spotted her latest, Watching You, as I walked through WH Smith the other day, I didn’t think twice about buying it. The book starts with a murder, but we don’t know who is dead. It then skips back in time a couple of months to the time building up to the crime. Joey is 27 and desperately trying to be a grown up. But she’s married to a man she isn’t sure about, living in her brother’s house and working at a soft play place. And then she sees her neighbour. He’s twice her age, the headteacher of the local school and very attractive. She can’t stop watching him. But Joey isn’t the only one watching the neighbours. In her little community in Bristol, it seems that all of the neighbours are watching each other. The story follows Joey, three local teenagers and Tom Fitzwilliam, superhead, as their little neighbourhood edges closer to the murder. This is one of those books I just didn’t want to stop reading. The characters are all so real and believable. They might not all be nice, but I was desperate to find out what was going to happen to them all. I absolutely loved Watching You. It has quotes on the cover from some of my favourite authors, including Clare Mackintosh, which sums up exactly how I felt about it. AJ Finn, the author of The Woman in the Window, said: ‘Page one intrigued me. Page three hooked me. By page five, I was consumed.’ Exactly that! Whether you love psychological thrillers or you love books about family, friendship and love, I would definitely recommend Watching You. It might just be even better than Lisa Jewell’s previous two novels. I haven’t read that one, I will have to look out for it. I’ve loved reading her books recently. This is such a good read and I would definitely recommend her other thrillers too. I’m sure you would enjoy it, it’s a really good read! She’s written a lot of books, so I wouldn’t be surprised if you’d read her books before. This one is so good! It’s probably a bit new for the charity shop. Then She Was Gone is another really good one and I haven’t read The House We Grew Up In.